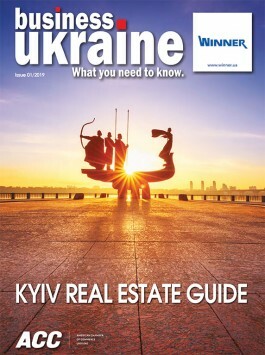 Ukraine’s latest transport plane will be among the highlights at this year’s Paris Air Show when it is showcased later this summer in the French capital. The Antonov An-178 cargo plane is a short-range, medium-airlift transporter which made its maiden flight on 7 May, 2015, after first being rolled out to the Kyiv public three weeks earlier. It will now be unveiled to global audiences at the 51st Paris Air Show at Le Bourget exhibition centre in mid-June, and is expected to be among the most talked-about premieres at this biannual gathering of the elite of the international aviation industry. The An-178 represents the next generation of cargo planes from Ukrainian aircraft producer Antonov, and comes tailor-made to meet the demands of the global air freight industry. It offers all the trademark cargo conveniences of the Antonov brand, while incorporating the latest international air freight standards, including fully sealed cargo compartment, twin jet engines, simulator training software and digital avionics. This niche cargo plane’s other selling points include its ability to operate from the most basic of airfields while loading and unloading multi-tonne freight without requiring extensive airport infrastructure. The new An-178 is a next generation aircraft broadly based on Antonov’s An-148 and An-158 family of jets, the first of which debuted in 2004. It is designed as a direct upgrade to the previous generation of Antonov cargo carriers. This new An-178 cargo plane has been on the drawing board since 2011, and has been developed in line with the Antonov philosophy of identifying the contemporary requirements of the international aviation market and producing an end product designed to meet the specific needs of the company’s clients. The An-178 can carry cargos of up to 18 tonnes, allowing it to occupy a relatively empty niche in the air freight market between the smaller, short haul carriers and the really big boys of the industry. The decision to develop a transport plane in the 13-18 tonne range came following extensive Antonov analysis of recent international air freight trends, including statistics for typical loads carried by the widely employed Antonov An-12. This analysis found that An-12 models and existing cargo planes of similar size and class typically carried significantly less than their capacity loads, meaning that there would theoretically be considerable market demand for a tailored cargo plane designed to offer maximum economy while catering specifically for the medium-range 13-18 tonne market. The An-178 will be far cheaper to operate than the still widely used An-12, not least because it has two engines instead of four. Unlike the An-12, there is no need for costly and time-consuming maintenance of propellers or gear systems. A reduced flight crew also means clients will be able to save on personnel costs. Perhaps most important of all in terms of economic appeal is the full integration of the An-178 into the existing Antonov family, allowing partners to greatly reduce the expense of maintaining and servicing the new model. The An-178 also comes with a flight simulator function for training future air crews, allowing partners to avoid additional outlay when integrating the new Antonov model into their existing fleets. Other innovations and updates on previous Antonov cargo carriers include a fully pressurised cargo compartment, thereby removing the restrictions on the transport of people which had limited the service range and application of some previous models. This completely sealed cargo hold also significantly expands the range of goods which the An-178 can transport, including foodstuffs and other perishables which can now be moved at high altitudes. The An-178’s cargo compartment is also particularly spacious for the aircraft’s size and class, having been custom-designed to accommodate today’s most common air freight cargos - including maritime containers - to the maximum, while allowing for a minimum of wasted space. Cargo planes are often called upon to transport freight to destinations which are beyond the reach of most commercial aircraft. With this in mind, one of the An-178’s most attractive selling points is its ability to operate out of the most basic of airfields. The An-178 is designed to be able to take off and land on unpaved runways and pebble-covered surfaces, while inbuilt loading facilities mean it can be loaded up without the presence of significant airfield infrastructure. This self-contained loading capability, coupled with the plane’s enhanced runway versatility, mean that it is well-placed to provide cargo solutions for customers who need to carry air freight to hard-to-reach spots including desert and tundra locations. A number of orders have already been received for the first batch of An-178 models currently in production in Kyiv, with agreements inked between Antonov and China, as well as Azerbaijan’s Silk Way Airlines. 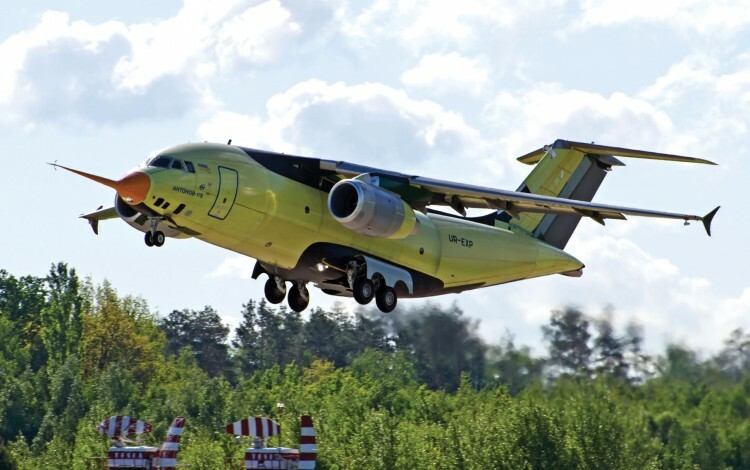 Antonov has initial plans to construct over 200 An-178s, with additional production agreements currently also being considered with both Azerbaijan and China. The company sees potentially significant demand for the An-178 on international markets for both civilian and military use, and has reported ongoing talks with potential clients in Europe, Asia and Africa. The price of a single An-178 is estimated at about USD 40 million.